using your smart phone, tablet, or PC and enjoy so many benefits. Put you in control and can be debited from your checking or savings account, or made with your credit or debit card. Can go to the General Offering Fund and/or the Still Keeping Our Promises Fund. Are secure and confidential. Lehman has partnered with Vanco Payment Solutions to offer e-Giving with state-of-the-art security, privacy, and encryption features. Are convenient! No need to carry cash to church. No more last-minute check writing as you're running out the door. You can fulfill your stewardship commitments even when you are out of town or unable to attend church. Contributions can be made any time, anywhere. Can be a single, one-time gift, or you can set up recurring donations. Recurring transactions can be scheduled to coincide with payday or any day you choose. E-GIVING HELPS OUR CHURCH, TOO. It saves our church considerable time and expense. It brings consistency. Weekly contributions fluctuate depending on the time of year due to things such as vacations, weather conditions, and sicknessess. E-giving helps stabilize the church's budget. E-giving reduces paper waste associated with traditional envelopes and is better for the environment. Go to www.lehmanumc.org, click the green GIVE button in the middle of the page, and you’ll be taken to the secure e-Giving page. 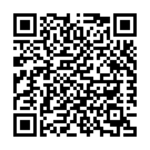 OR, scan our QR code using your phone’s camera or QR code reader and click the link to our secure e-service payments mobile giving page. Once you connect to Lehman's e-Giving with your phone, tablet, or PC, simply follow the onscreen instructions to create an online profile and make your donation. When you set up an e-Giving profile, you can view your online giving history, too! into the collection plate as a visible sign of your support. • Click the GIVE button on the right, or the GIVE button on the middle of Lehman's homepage at www.lehmanumc.org. • If you are using a phone, be sure to click VIEW MOBILE SITE just under the heading. • If you’ve already created a profile, go to the box that you'll see on the right side of the page and Log In. • Otherwise, please continue. We suggest that you Create Your Online Profile to make future contributions easier and to have access to your giving history. • Click the Create Profile button, then enter and confirm your email address. • Enter your contact information and create a password. Your password is case-sensitve, must be at least eight characters, and must contain at least one letter and one number. Make sure your password is one that you will remember, but difficult for someone else to guess. • On the next screen, you'll see any future donations you may have scheduled. You can access a history of your online giving here, too. • Click Add Transaction to make a donation. • Indicate the amount of your General Offering or Still Keeping Our Promises gift. You can choose to make a One-time donation, or a Weekly, Bi-weekly, Monthly, or Semi-monthly recurring donation. • If you are making a recurring donation, select a Start Date and an End Date. Press Continue to go to the next page. • Enter your Envelope Number if you have one. - Directly from your Checking or Savings account at your financial institution. You only need to complete this information once, unless you later choose to select a different payment method. • Fill out your Credit or Debit Account details and billing address, OR indicate your Checking Account or Savings Account 9-digit Routing Number and Account Number. You can locate the Routing Number of your financial institution on the bottom of a check from your account. The illustration you will see will show you where to look. OR, you can call your financial institution, OR do an online search for their routing number. • Review your information, click Process, and you're done! Is e-Giving safe and secure? Yes. E-Giving is actually less risky than writing checks or bringing cash to church. Electronic contributions cannot be lost, stolen or destroyed and have an extremely high rate of accuracy. Your electronic gift will be debited on the date you specify. How is my e-Giving gift documented? Immediately after submitting a contribution, you will receive a verification e-mail for your records. You can view and print your giving history when you log in to your e-Giving account. 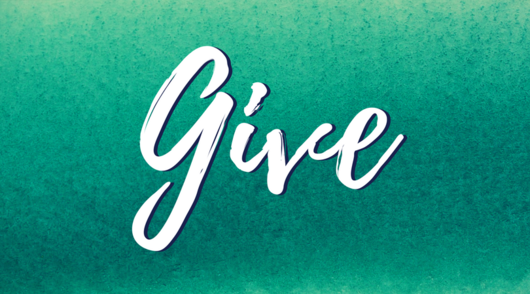 Your online giving will be recorded by Lehman Church and included on your year-end contribution statement, and your statement from your financial institution will include your e-Giving transactions. Although our current Offertory method will still continue, it is important that we as a church prepare for the future, as well as accommodate those who already make most of their payments from the convenience of a phone or home computer. Many of our younger members and visitors do not even have a checkbook. Online banking and payments continue to grow in popularity. Lehman Church does not want to be left behind by people who no longer use checks. Are there any fees or costs to use e-Giving? There are no costs to you. Lehman Church incurs some processing charges. These fees are standard and paid by all companies and churches who receive credit/debit payments. During your e-Giving transaction, you are invited to help cover the church's service charges. If you would like, you can add 2% to your donation to help offset the processing fees. Absolutely. Although e-Giving replaces the need for weekly envelopes, it is not mandatory for you to use the service. We are thankful to receive your gifts in any way you are comfortable giving. May I give online if I am not a member of the church and only attend occasionally? Yes! The e-Giving system easily permits occasional or one-time contributions. Thank you for your generosity and support of Lehman Memorial Church!